Actually, i work at a supermarket, so when a customer asks me about a specific product, i struggle to describe this spot, which is at the back end of the isle. Sometimes i say, it is on the corner of the isle. So, imagine you are with a customer standing down this isle, what would you say to point him to the product where the directions are? 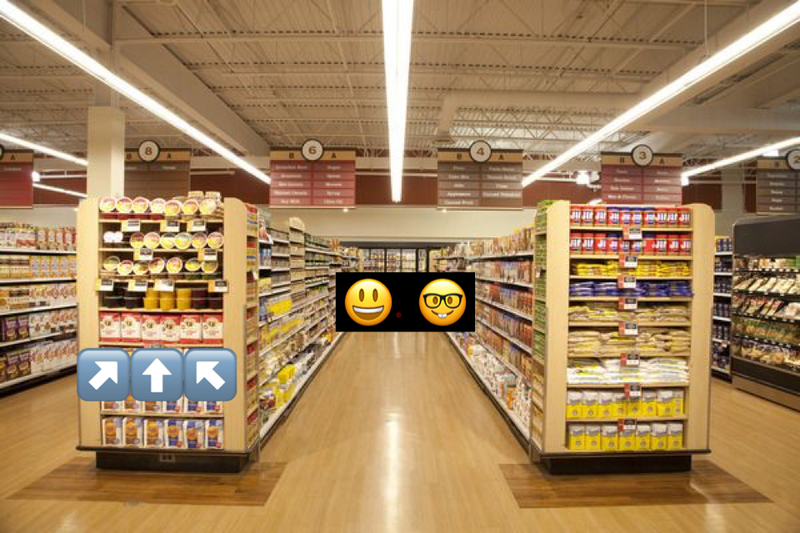 In both the USA and Britain, the structure arrowed in the picture is known by supermarket equipment suppliers, shopfitters, and retail staff as either an "end of aisle gondola" or "endcap". Probably most customers would not recognise these terms and think of it simply as "shelves at the end of an aisle". It is at the end of the aisle, between Aisles 1 and 2. It is at the end of Aisle 1, in the back (or front) of the store. It also depends on how you number your aisles. If you number each side of the aisle differently, you may want to say two aisle numbers, for example, between aisle 1 and 2; if you number the actual shelf part of the aisle one number, you can say the end of Aisle (number). It is at the end of Aisle 3. and then perhaps give some directional indicators (front of the store, back of the store, facing the cash register, etc). Maybe at the outer end of the aisle would do. If I were directed to "the end of the aisle", I'd probably stop when I reached the end and would not make the turn out into the cross-aisle. How to describe the following greeting gestures? What's the word to specify a certain longitudinal position in a long street or park?